The Sims 4 Cool Kitchen Stuff * released this week, and brought with it a variety of items made to upgrade and outfit your Sim’s kitchen. It also includes new gameplay by way of the Ice Cream Machine – a perfect treat for any foodie Sims looking to create decadent desserts. There are 30 different flavors to create, many of which you’re likely familiar with. Vanilla? Yeah, it’s in there. Chocolate? You’d better believe it. Orange Sorbet, Mint Chocolate Chip, and Rainbow Sherbet? Obviously. But besides the flavors you’d expect to find at your nearest freezer, there are some that are a little more… outstanding. Dragon's Breath proves that ice cream doesn’t have to be cold! Well, that’s not entirely true – it’s still cold, it’s also just a little… hot. 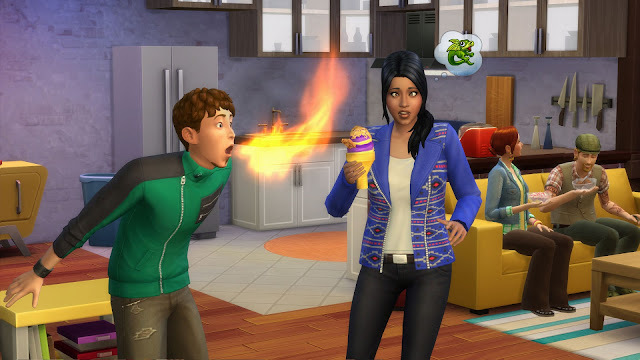 Like, make your Sim’s mouth burn hot. Like, they might mistakenly catch on fire if they eat it hot. Haunted Mint is the spookiest of the ice cream flavors in the stuff pack. Yes, you read that right: spooky. As the name suggests, Haunted Mint is indeed a ghostly treat. 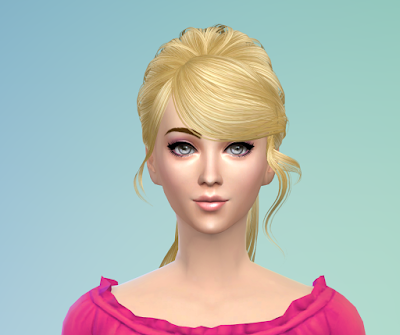 Sims that eat it not only get a buff, but they might be visited by an apparition after they finish their snack. Boooooo! Twin Roses is so full of flavor, your Sims might just get Flirty after they eat it. Well, that’s how older Sims react, at least. Children that try Twin Roses end up Happy, instead, proving that the ice cream is the perfect treat for everyone. Plant Matter is one of those fancy schmancy ice creams made from “natural” ingredients. 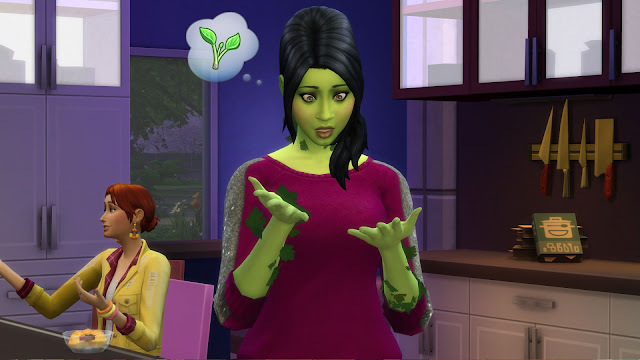 Sims that eat it will have a desire to relax in the water – plants need water, after all. Also, ever hear the term “you are what you eat?” That applies here, too, so… uh… watch out for leaves. There are other weird flavors to make and try in The Sims 4 Cool Kitchen Stuff Pack – have you tried any yet? If not, your Sims are missing out on some truly sweet treats! What will you do when you get The Sims 4 Cool Kitchen Stuff Pack? My Sims are planning to throw a Ice Cream party.